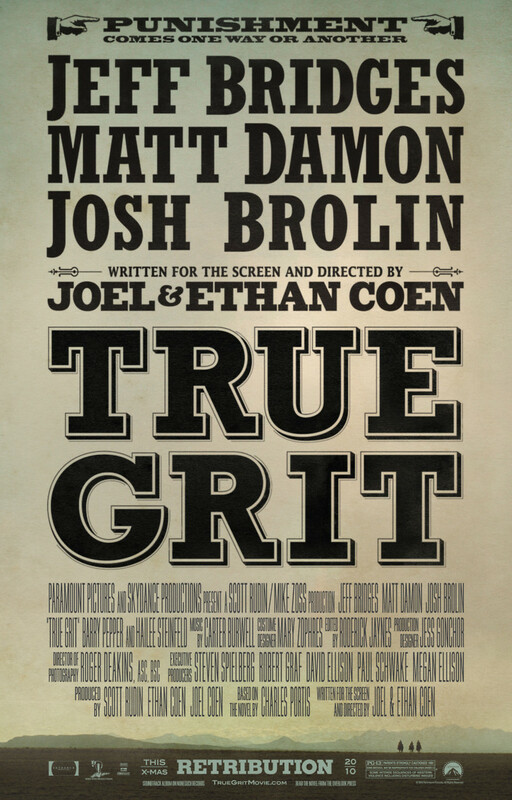 True Grit DVD and Blu-ray release date was set for June 7, 2011. The Coen Brothers' take on the western classic "True Grit" retains huge portions of the dialogue from the original John Wayne movie, but the quirky filmmakers also put their distinctive mark on the story of a girl who hires a renegade U.S. Marshal to hunt down the man who killed her father. Jeff Bridges makes himself disgusting as the surly Rooster Cogburn, while Matt Damon squares off against him and occasionally aids him as slick Texas Ranger LaBoeuf. Anchoring the film is the towering performance of Hailee Steinfeld as the vengeful teen Mattie Ross. Just 14 when the movie was released, Steinfeld commands the screen with the skill of a seasoned actress and establishes an intriguing dynamic with Bridges that is both heart-warming and hilarious.